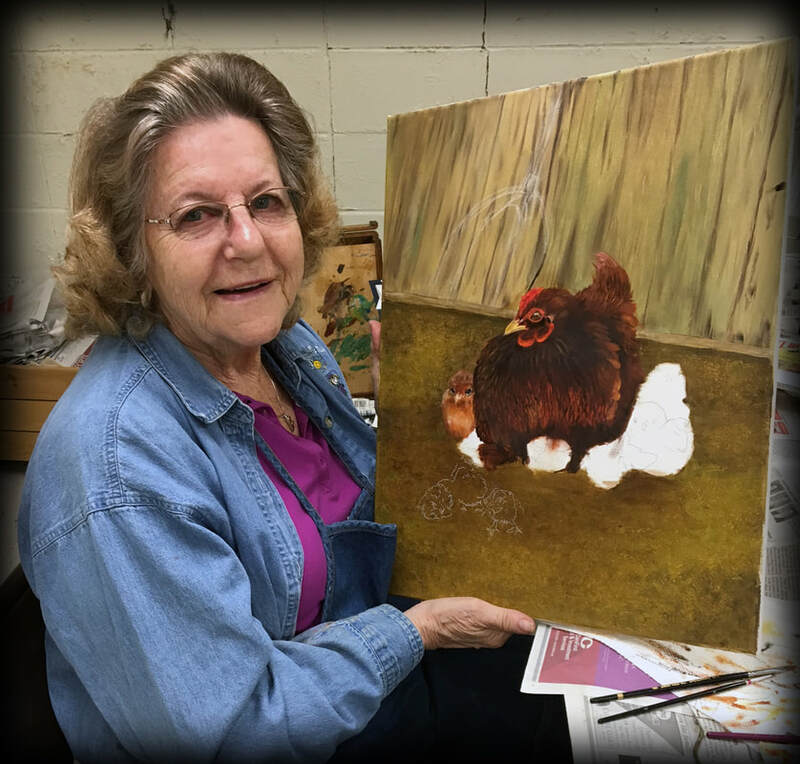 As an Eastern Kansas native currently residing in Onaga, Ruth loves to paint animals, flowers and landscapes working in both Oil's and Acrylics. 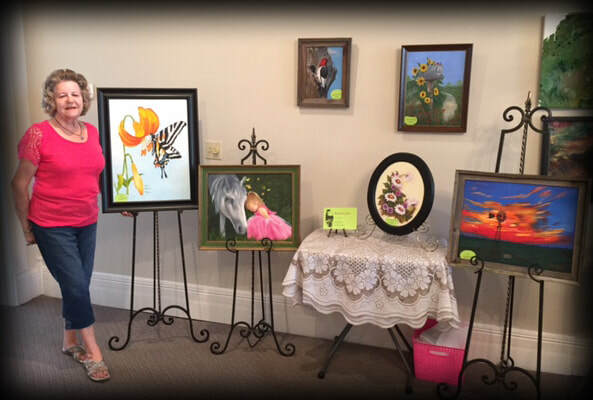 She has done many commission works and sells pieces in multiple art venues. Claiming her art is mostly a god given talent that she does for her own and others entertainment, she say's she truly enjoy sharing her works with family and friends and finds it most rewarding. Ruth has attended the duCret School of the Arts in Plainfield, NJ, Missouri Western State University in St. Joseph, MO and Kansas State University in Manhattan, KS. She has raised four children and also has four stepchildren which she says kept her busy for a very long time. Ruth also worked for Pottawatomie County, Kansas for more than 20 years.